January 9th, 2018 | Lifestyle, Moving Tips, Packing Tips. In your day-to-day life, you make an effort to reduce your household’s impact on the local and global environment. You use power conscientiously, recycle paper and plastic, and conserve water wherever possible. As you prepare to transition to a different home, you may spend a lot of time looking for a location that suits your eco-friendly concerns. But what about your carbon footprint between your current living space and your new home? In this blog, we list strategies that can help you make your move more green through packing, cleaning, and shipping smarter. A lot of the waste generated during the moving process results from inefficient packing practices. Use these tips to create less trash. While many packing materials can be used multiple times, many homeowners end up throwing away most of their supplies, such as cardboard boxes and butcher paper. You may not have space in your home or use for these materials if you plan to stay in one place long term. One of the ways to reduce the amount of waste your packing efforts generate is to stick primarily with reusable supplies, such as plastic bins and bubble wrap. If you do end up using some disposable packing supplies, prioritize recycling what you do not keep. Most waste disposal companies that handle recyclables will accept cardboard boxes of all shapes, sizes, and conditions-as long as you break them down first. You may also be able to recycle unwanted packing materials by giving them away to friends, family, or local students with upcoming moves. Use a social networking site such as Facebook or Nextdoor to list free materials. In addition to your official packing materials, consider using containers and wrapping supplies that you already have on hand. For example, a suitcase with wheels can make it easier to move heavy objects, and your household linens can provide protection for valuables. Your mover may be able to help you get either the reusable or recyclable packing supplies you need, as we’ll discuss in greater detail in the shipping section. You want to leave your current house in good shape for the next owner or tenant, and you want to clean your new home so you can move into a fresh, welcoming space. However, many common cleaning supplies create airborne pollutants that are harmful for people, pets, and the environment. Follow these guidelines to reduce the impact of your cleaning regimen. Many chemicals and other solvents cannot be moved or disposed of easily. Check with your movers to determine which items you will either have to transport yourself or dispose of. This list will likely include paint, industrial cleaners, propane gas, and gardening chemicals. If you need to throw any of these items away, contact a waste disposal expert to determine the safest, most eco-friendly method. This step also ensures that you comply with any relevant laws. For the serious cleaning around your old and new homes, look for cleaning brands that use nontoxic ingredients. Avoid aerosol dispensers that create more airborne pollution than other dispenser types. For general cleaning purposes, rely on tried and true natural solutions like baking soda and water. You may also be able to use vinegar and other household items to clean without contaminating the air. When you need to use conventional cleaning supplies, like bleach, be sure to measure out the exact amount necessary to reduce waste and ventilate the area to avoid harming any people passing through. The actual transition from one living situation to another requires the use of motorized vehicles, whether you go by car, moving van, or even boat or plane. Use the following tips to ship your belongings and travel in a more eco-friendly way. A lot of environmental waste occurs when well-intentioned but inexperienced homeowners make poor moving decisions. Working with an experienced mover ensures that you choose the right packing materials, loading methods, and transportation options. 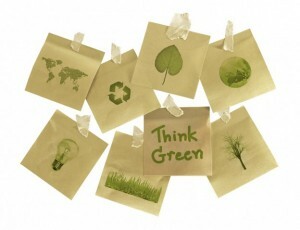 Discuss your eco-friendly priorities with your mover to formulate the greenest plan for your move. As you travel to your new home, take the most direct route whenever possible. This travel tactic reduces the amount of fuel used overall during the transition. A direct route may also decrease the amount of money you have to spend at businesses that may not share your green vision, like hotels and truck stops. If you’re looking for a moving company with a commitment to sustainability, you can trust Wheaton World Wide Moving to support your environmental efforts. From recycling cardboard boxes to installing energy-efficient lighting, our green initiatives have led to recognition as a “Green Business” by the Indianapolis Chamber of Commerce.